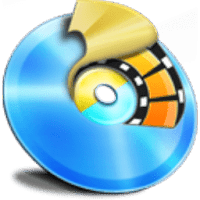 WinX DVD Ripper is an easy to use DVD ripper solution capable of ripping any DVD to mainstream videos, such as rip DVD to AVI, DVD to MP4, H.264, MPEG, WMV, MOV, FLV and M2TS. It also helps faultlessly convert DVD to Apple (iPhone, iPad, iPod, Apple TV, iTunes), Android (Nexus, Samsung, HTC, Kindle Fire), Microsoft (Windows Phone, Surface, Xbox), Chromecast, Sony, Nokia, etc. Besides 350+ built-in profiles, this DVD ripping app has four unique DVD Copy modes. Clone DVD disc to ISO image, to a folder at a 1:1 ratio. Backup DVD main title content for playing on PC, PS3, PS4, Xbox, Media Center, etc, and copy DVD title fully to a multi-track MPEG2 file with all Videos/Audios/Subtitles. WinX DVD Ripper Platinum offers fast DVD ripping speed, with the support for Intel QSV and NVIDIA (CUDA) NVENC based hardware acceleration and Hyper-threading. Converting a DVD movie takes as short as 5 minutes only. WinX DVD Ripper is offered in two editions: Free and Platinum (Compare editions). Rip DVD to fit iPhone, iPad, Android, etc. Rebuild: A brand-new mechanism to perfectly check the correct DVD titles for (Disney) 99-title DVDs, TV series DVDs and workout DVDs. Added: New DVD disc file (ISO) system to rip Japanese AV DVD disc, DVDs in ISO9600 format, non-UDF-formatted DVDs and even unplayable DVDs. Option to copy (lossless) DTS Audio from music DVD directly to fit professional music players like Iriver Astell and Sony Music Player. Improved: The WMV quality by changing its audio codec from mp3 to wmav2. Fixed: The issue of loading the "damaged DVDs" to support some latest DVDs successfully. Disclaimer: Direct downloads for the lastest version of WinX DVD Ripper Platinum 8.5.0 / Free 5.5.17 are provided by the official software's author, we can't guarantee safety, availability or download speed. Moreover, we don't and we won't provide any pirated/illegal versions or tools. We recommend you to avoid it as these methods can harm your device. If you like the software, buy it to support the developers. (We provide software discounts for many worldwide brands).